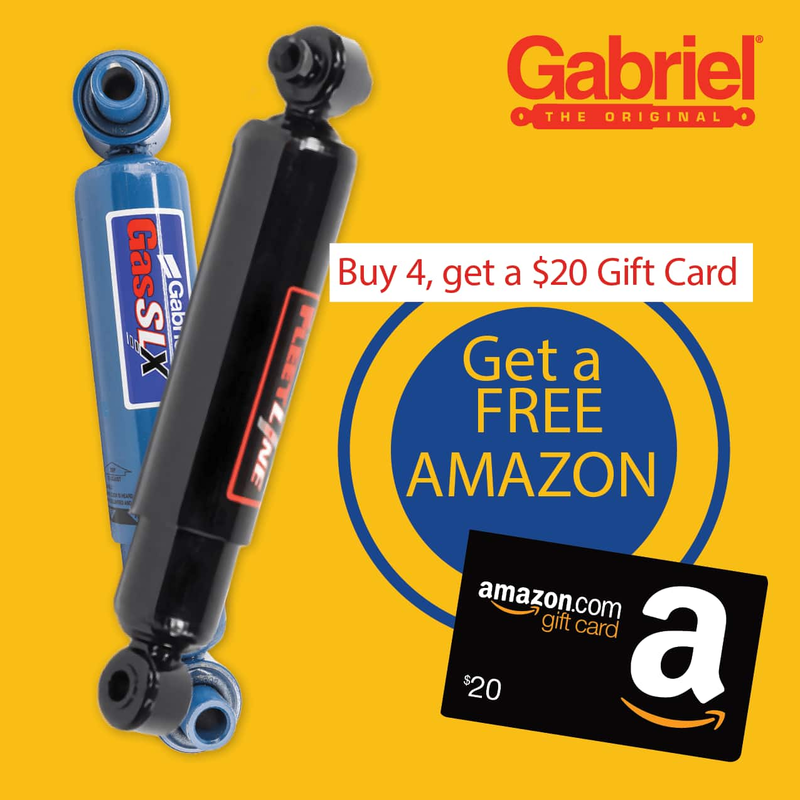 **Offer valid for purchases made on any Gabriel shocks from 2/1/19-2/28/19. Must be purchased on a single invoice. No substitutions. Back orders do not apply. To qualify, you must redeem via completion of the form (providing the FleetPride invoice number for your purchase) on or before 3/14/19. Must provide valid email address. Digital gift cards will be provided only. Allow 60 days from entry for delivery of the gift card. Limit one (1) gift card per customer. FleetPride may terminate this offer at anytime without notice. Other terms and conditions may apply. The value of this gift card may constitute taxable income to you. You may be issued an IRS Form 1099 (or other appropriate form) that reflects the value of such gift card. Please consult your tax advisor, as neither FleetPride, Inc. nor its employees provide tax advice. FleetPride is not responsible for lost, stolen, or undelivered gift cards. Employees of FleetPride, Inc. and members of the immediate families and persons living the same household of such individuals are not eligible. No dealers. All photographic, clerical, typographical and printing errors are subject to correction. Void where prohibited. All marks are the property of their respective owners and holders.